Boil potatoes. When they are almost tender add fish. Lightly saute onion, garlic & peppers. 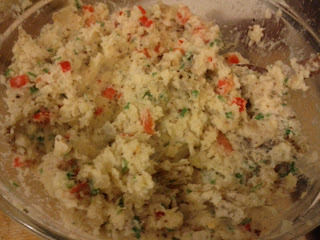 Drain when potatoes are tender and add to a bowl. Add sauted vegetables to the bowl and mash together. Add mustard, cream, mix lightly. Add lemon juice and bread crumbs. Mix until even distribution. 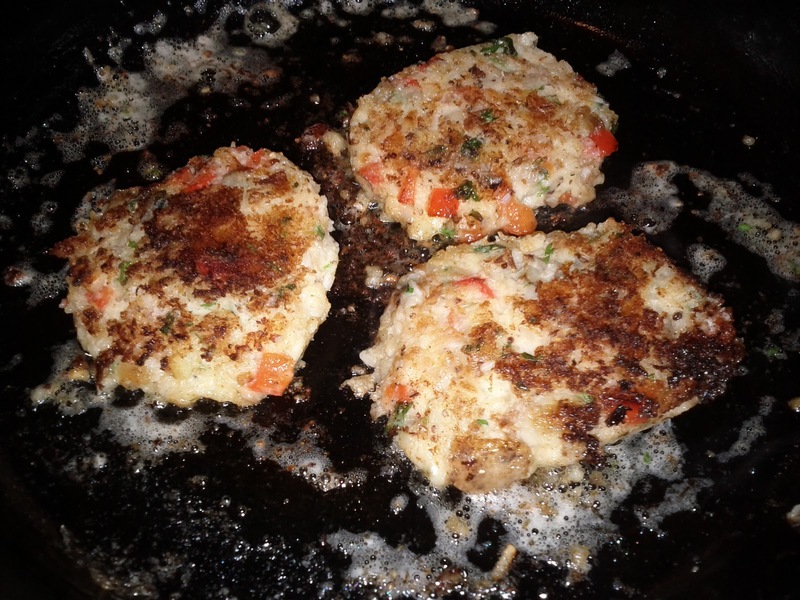 Form into patties (mine were about 4" in diameter), coat in seasoned flour. Fry in butter. Flip when patties are a bit browner than this picture. These turned out to be like pancakes where the first batch (pictured) didn't brown as nicely as the rest. Serve with sliced avocado and yogurt. Eat & enjoy. These fish cakes turned out really tasty, but not at all fishy. Neither I nor Ladypants could pick it out at all, so next time I'd use more fish. 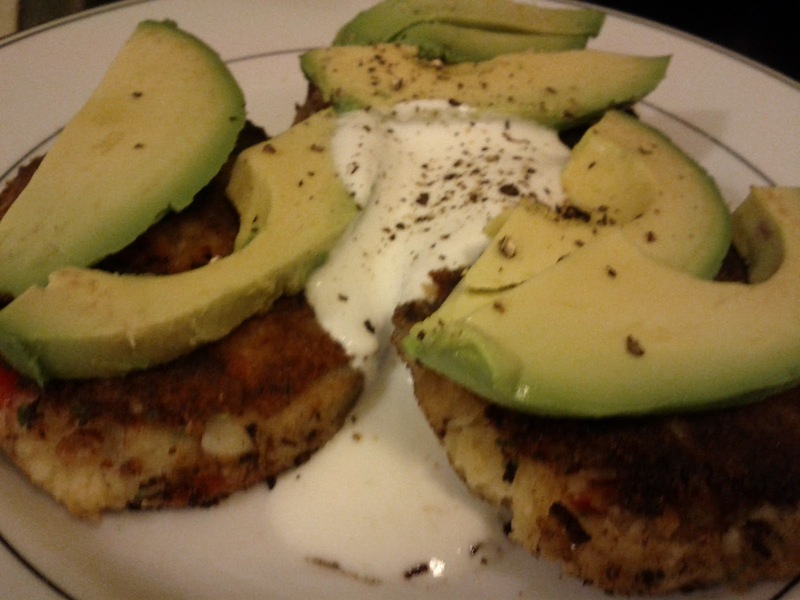 so they aren't really fish cakes, more fried mashed potato awesomeness. 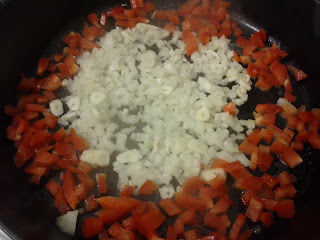 Crunchy on the outside, creamy in the middle with a nice texture from the red peppers. 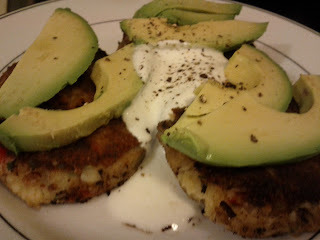 They tasted great with the perfectly ripe avocado and the tang of the yogurt. I was surprised to find myself full after only three. They also quelled the caffeine shakes leftover from this afternoon's tasting session. Win, win, win!